Planning for a renovation of your home is a fun and exciting experience. You get to choose the style of your cabinets, the paint that can match your personality and the embellishments of the furniture which can further accentuate the vibe that you are aiming for. The most challenging and dreaded part of this entire overhaul is how to find a skilled professional to whom you will entrust all these great ideas. Your daydream of an elegant bathroom with a closet walk-in and a vibrant kitchen that is perfect for summer could eventually lead into a nightmare, more so, a disaster in real life, if you will hire someone who can’t do the job according to your expectations. This is a very typical situation. 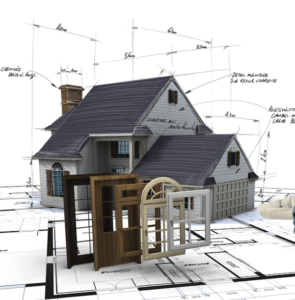 Homeowners are faced with the difficult task of finding a reliable and skilled general contractor who can make the home of their dreams come true. You are going to spend lots of money, so in searching for the perfect man for the job, you have to do a lot of research, hard work and contemplation so as not to end up paying for something that doesn’t even serve you. In worst cases, it can cause a deep hole in your wallet. Your newly renovated house might be needing another renovation or overhaul if you will get the wrong person. You can avoid these mishaps by contemplating on several steps in finding a general contractor in palm desert ca. One of the best ways to find the perfect man for the job is by asking around. Your neighbors who have previously had a renovation might be able to refer a skilled professional to you. Ask your friends and relatives if they know someone who can provide the services that you are seeking. Befriend the people at the hardware store; they might be able to refer someone to you. The best individuals in the industry usually have their hands full of work. If you’re getting the best in the neighborhood, always expect that they won’t be able to start your project right away. But it is better to wait for a while than to start your home redo with someone less than the best. Pick someone who is an expert in your project type. Everyone will have their expertise; you will be very fortunate if you will be able to find someone who is a specialist in almost anything that you need for your renovation. Your best guy for installing tiles in your bathroom might be a wreck when it comes to installing the doors. Interview at least three reliable individuals and bid from each one of them. It is better if you always have options than just settling for the one that is available. In comparing prices, be certain to compare the same materials and services to know your best option. Check their work history for complaints, licenses, and references. You can learn from a neighbor’s unpleasant experience on his home renovation. You could check the disciplinary boards if he had complaints from the previous project. Contractors and sub-subcontractors should be licensed to perform the job, ask copies of their licenses just to be sure you are working with an expert. Check the references, if you can talk to previous customers, it will give you a bright picture if he will be able to deliver your expectations. You can also talk to his subcontractor and see if he pays his team on time. If not, that is a red signal. You don’t want to be working with someone who is not honest. One of the most common mistakes of homeowners is that they find a contractor first then create a plan. Your plan then can be influenced by his opinions. At the end of the day, it might not be really what you wanted in the first place. Start by having a plan first then find the man for the job. Samples are more important than references. You will be able to see for yourself if this person will be able to do your project based on his recent construction. Though your relatives, friends, and network can refer a reliable contractor to you, don’t rely on just that. Do your research by looking it up on the web. Keep in mind though that good reviews should not be your sole basis. Always check for references. This means that he has a permanent business address that is reachable. If there is anything that needs to be settled right away, you know where to find him fast. Finding a general contractor in Palm Desert CA might entail some work for you at first, but it will save you from a lot of disappointments, headaches not to mention, unnecessary costs. If you find yourself in need of a reputable and experienced contractor, call us at JCD Construction, and we will give you a free quote on your home renovation.